Would you like to make your own stylish case/cover for your iPad or Kindle? Yes? Good! Let me show you how to make the tablet case. This is going to be a really easy sewing project (if you can sew, of course). I bought a new tablet (with 10.1 screen!) and after using it for a few days I decided to make my own cover for it to protect the tablet from scratches, to be able to hold it more comfortable in my hands and carry it around in style. Of course, there are plenty of tablet covers for sale but I like to make one-of-a-kind things. 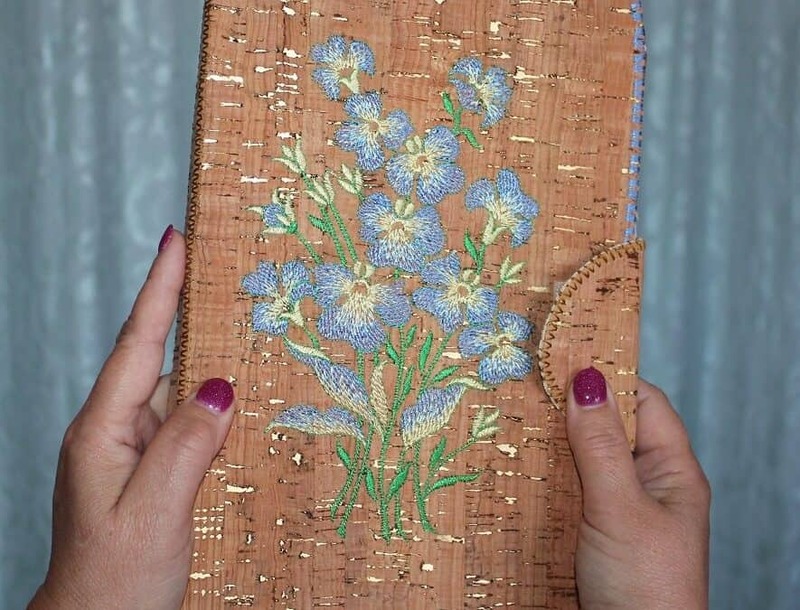 My case is made from cork fabric (which was a little bit tricky), fastened with Velcro flap and reinforced with plastic inserts. I don’t have to open the case to charge the tablet. I added some embroidery also. You could do this so many different ways too.